With Anim'est animation film festival going strong until Sunday (October 14 ) it is hard to believe that animations are otherwise a rather neglected genre in Romanian cinema. As cynics say, there is no Romanian animation, at least not in the last twenty years. There is no special animation department at the state film university and when animations compete to obtain funding at the Consiliul National al Cinematografiei/The National Board of Cinema (CNC) they share the same slot with documentaries. Indeed, while Romanian short fiction has been sweeping international prizes for years, animations have been more modest. Last year's Crulic – The Path to Beyond made quite a splash (see last week's column) but there was another animation, a short one, which also made the festival circuit, namely Sebastian Cosor's Ţipătul/The Scream, which stands out due to its high production value. Cosor takes the famous Edvard Munch painting and does a nice job of transforming it into dramatic movement. Set against a Pink Floyd song, it slowly builds up to a sweeping finale of anguish and fear. The CGI is nicely done and while it is not wildly original it is certainly visually and sonically strong. However there has been a consistent wave of animations done in the most different of techniques coming from Transylvania and mostly Cluj, where Hungarian-speaking young directors have been delivering exciting shorts, often additionally supported by funds from Hungary. Cecília Felméri, who has recently proven to be an excellent live-action director as well, made a lovingly animated documentary on legendary Hungarian king Matthias Corvinus, Mátyás Mátyás. Attila Bertóti has also been experimenting beautifully with 2D animation and his 2009 Ariadné fonala /Ariadne's Thread is a visually sumptuous interpretation of the old Minotaur myth. 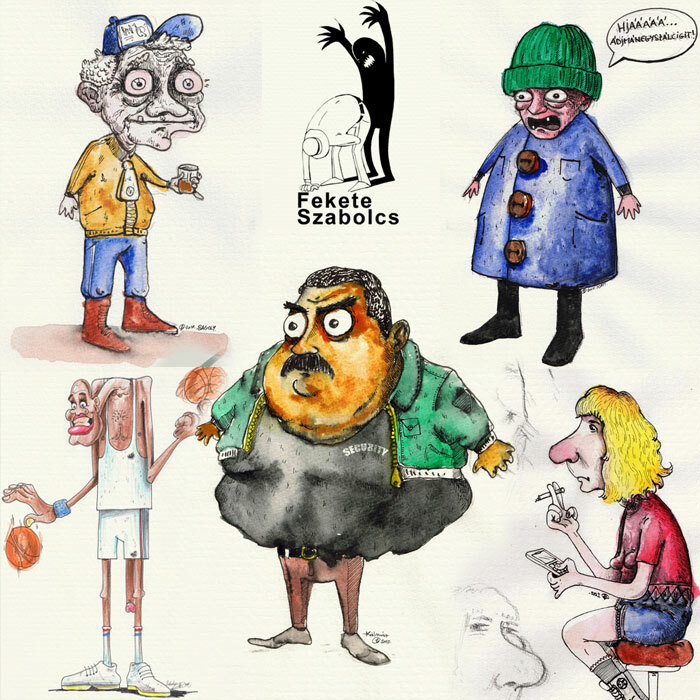 Another Transylvanian animator, this time from Oradea, is Szabolcs Fekete, whose political animations are often without dialogue. And thankfully to be found in full length at his official website http://www.feketeszabolcs.com. My favorite is the concise globalization satire We Are All Waiting for the Same Bus. Török Tihamér is a young graphic designer and director with an equally cynical view of social and political realities, working predominantly with computer-generated images. While Klinika/The Clinic is a breezy, fun piece, the more recent and biting Játszótér/Playground will be shown in Anim'est's Romanian competition. If you want to catch more recent local shorts don't miss the Romanian competition tonight (October 10 ) at 8.30pm at cinema Patria. Where maybe another (animation) star will be born. Játszótér from Torok Tihamer on Vimeo.